It's that moment you've been rehearsing in your head over and over again. You're finally going to ask the woman of your dreams for her hand in marriage. You're more nervous than you've ever been, but it's now or never, right? You get down on one knee and ask her those four little words that every girl dreams of, "Will you marry me?" but, instead, all you hear is a disappointing, "No." The shock and embarrassment of being rejected after proposing to the love of your life (or so you thought) is something that no one ever wants to experience. Although it's hard to believe, these things do happen and not many "proposers" know what to do afterwards. In the event that this unfortunate event ever happens to you, it's important to know your options. Here are five options for what to do with the ring if her answer is a total bummer. Hopefully you were smart and went to a reputable jeweler that offers a decent return policy, because returning the ring is the best option. Most jewelry stores allow for returns to be made for a full or partial refund, but this usually only applies to non-custom rings. Unfortunately, if the return policy doesn't guarantee a full refund, you're probably only going to get around half of what you paid for the ring due to depreciation -- much like trying to return a new car shortly after it's purchased. If returning the ring isn't a viable option (e.g. the price just isn't right), then try your luck selling to a private party online by listing the ring on sites like eBay, Craigslist, or even social media. The benefit of selling the ring online is that you're more likely to get a higher price for the ring, especially if you're open and honest about your unfortunate circumstances. Just be careful of con artists when selling online and if you have to meet up with a potential buyer, then do so in a very public place. Safety first! Does the ring only remind you of the hurt of being rejected by (who you thought) was the love of your life? If the pain of holding on to the ring is too much to bear, then you can always pawn it and wash your hands clean of it. You could even use the money to buy something at the pawn shop that you've been coveting and turn this crappy situation into a less crappy situation. You probably aren't going to get loads of money from the pawn shop -- possibly less than if you tried to sell it back to the original jeweler -- but, nonetheless, this is a very viable and quick option. You may want to consider holding on to the ring, especially if the ring is a family heirloom, or the amount you're expected to receive for returning the ring is too great of a loss. If the ring is a family heirloom, then definitely consider saving the ring for when you find that special someone and want to propose. If you do choose to keep the ring, consider the fact that the next girl you propose to may not be too thrilled about wearing an engagement ring that was originally bought for someone else. Last but not least, you can always take it back to the original jeweler and ask them to deconstruct the ring so that you can keep the center stone for when you're ready to get down on bended-knee in the future. You're still taking a hit financially, but at least you have a diamond that your future bride-to-be can use to build her engagement ring. This option is likely to go over better with the new fiancé than saving the original ring and trying to convince her to wear a ring that was intended for someone else. We understand that not all proposals and engagements have fairytale endings. 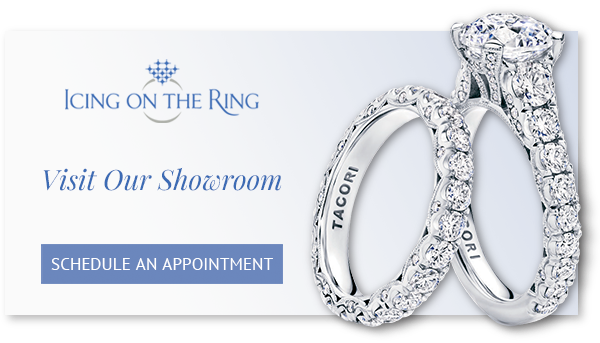 If you bought your ring from Icing On The Ring, we offer a 14-day return policy for unworn and undamaged items for most of our jewelry. This way, you have some peace of mind that, if your proposal or engagement takes a turn for the worst, you're not left high and dry with a pricey engagement ring that is virtually useless to you.